Michael Crichton’s storied career is filled with just that: meaningful stories in the form of many great novels, movies, and television series. From Jurassic Park to ER to Westworld, Crichton’s influence can be felt in many science fiction works today. 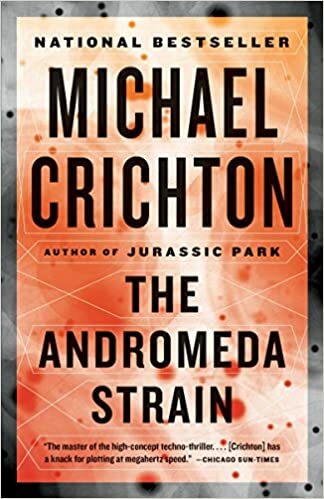 The first novel that Crichton ever published was The Andromeda Strain in 1969. Its story, about a virus that grows into a global pandemic, was groundbreaking for its time, establishing Crichton as a household name and giving birth to the techno-thriller genre. In honor of the novel’s 50th anniversary, HarperCollins will publish a sequel this year. In a press release, author Daniel H. Wilson and CrichtonSun, the production company founded by Crichton’s wife Sherri, announced that they are teaming up to bring fans The Andromeda Evolution. Though there aren’t many details yet, the novel is rumored to explore the crisis a small New Mexico town faces in the fallout of a deadly alien organism. As a lifelong fan of Michael Crichton, it’s been an unbelievable honor to revisit the iconic world that he created and to continue this adventure. It’s a testament to Crichton’s genius that the originality of The Andromeda Strain is just as exciting and relatable now as it was on the day it was first published. The book will be available November 12th. You can preorder it on Amazon today!